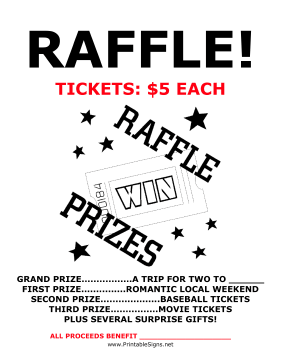 A raffle is a great way to raise money because many different people pay for very few prizes. The best way to be successful, then, is to convince many people to buy tickets! Advertise your ticket prices and where to buy tickets with this simple sign.